Sunday morning I woke early to write a warm, endearing, totally heartfelt and original post to relieve any guilt I felt about not buying my husband a Father’s Day gift. Yet. 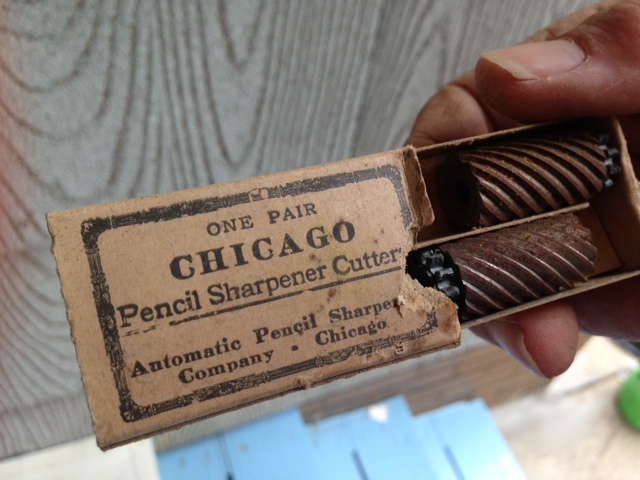 To a larger extent, this Pulitzer-caliber post talked about the weird stuff I am finding in my basement, with carefully edited photos of that weird stuff. It also contained a few bits of tid about my home’s previous owners, about whom I know little save that they were very DIY and made all kinds of things themselves: the house they sold us, dresses, diapers, Ruth Hoffman’s Peanut Krunch Cookies. I know this because the house, which we unknowingly bought about 25 percent furnished, has left clues to our predecessors’ lives in obvious and not-so places. 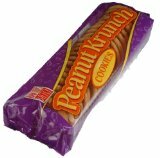 I don’t know what Peanut Krunch is, exactly. Is it these overpriced cookies all mashed up? Chopped peanuts? A retro peanut butter? Please reply. Weep weep weep upon realizing the house is full of stuff, and only about 70 percent of it is stuff you packed. In the years that have transpired we’ve slowly unpacked, added a third kid to the mix, went to graduate school and gradually got over the shock of owning the previous owner’s stuff. We got over “stuff shock” through a combination of using, donating, selling, forcibly gifting and/or delivering these items to a city-sponsored hazardous chemical drop-off at my old high school. Perhaps “God and Cudahy don’t make junk,” as Mayor Glowacki told hundreds of high schoolers at suburban pep rallys way back when. But Cudahy High will accept junk in its parking lot when sanctioned by the MMSD. 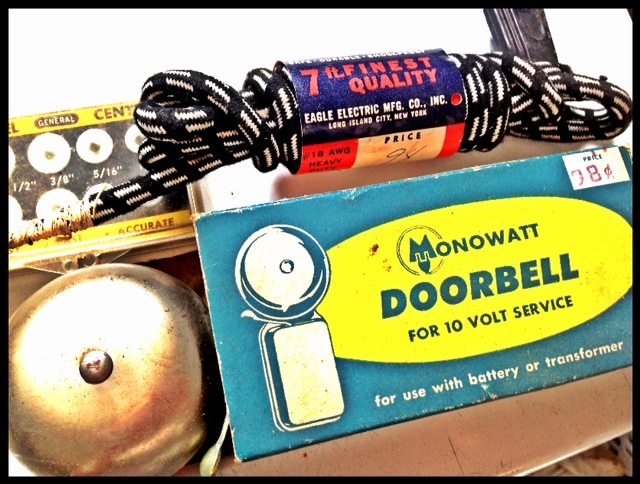 Anyway, point is, in the act of uploading a seventies-filtered photo of a ’60s era doorbell I found in my basement, I lost my draft of that Sunday post. Seven hundred words vanished and my husband still didn’t have anything for Father’s Day. Briefly and desperately, I thought about giving him the doorknob in a cool gift bag. But I had already showed him the doorbell, and it was basically half his. Even as a gag gift, it would fall flat. I opened a dusty drawer and there these were. Can I get the old magic back? But I’m moving on. Instead, I’m sharing with you a recipe for Ruth Hofmann’s Peanut Krunch Cookies and a few photos. Hear that? It’s the 1970s calling, and they totally want to hang out in my kitchen. Bake at 375F for 10-12 minutes. Makes four dozen.